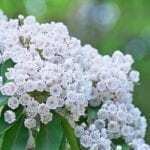 I have pruned my cherry laurel and would like to use the chopped up cuttings as a mulch on my flowerbeds but have heard it may be poisonous to plants. I did a bit of research and though there is some reports of the mulch being safe to use, the majority of sources recommend not using the Cherry Laurel mulch. I would lend on the cautious side and dispose of the Cherry Laurel wood.